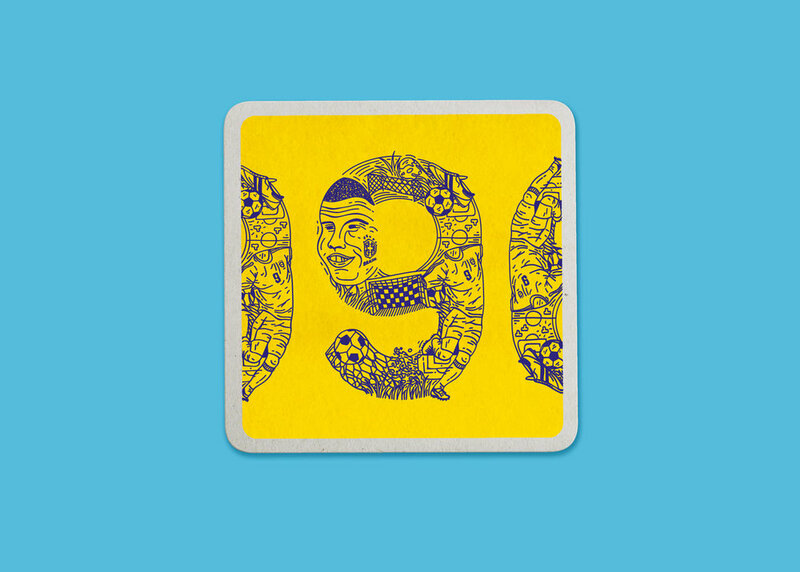 WNW Members Gordon Reid and Callum Stephenson invited twenty leading designers, illustrators, and creatives to celebrate their favourite hilarious, weird, and wonderful moments from previous World Cups. The Weird World Cup is here. 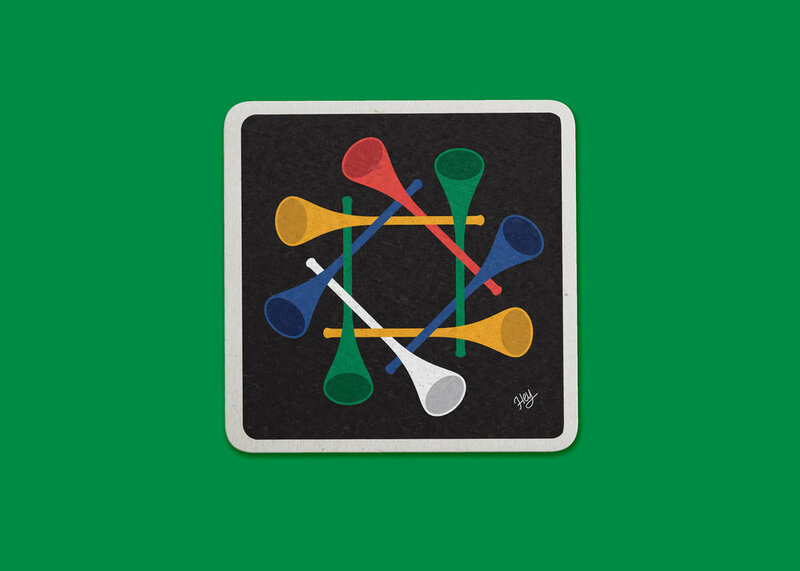 The resulting pieces, many of them by WNW members, have been printed onto limited edition beer mats (coasters) and are being ‘exhibited’ in pubs around London right in time for the World Cup. All of the proceeds will go to Football Beyond Borders, which is currently fundraising for a new multi-purpose space in the Angell Town Estate in Brixton. The goal is to turn this space into an office, an FBB learning hub used for non-FBB Schools programmes, and a safe haven for young people in London from disadvantaged backgrounds. Scroll down for more. You can pre-order complete mixed packs here. The title of the infamous goal, the Hand of God, was already inspiring for me to make the illustration. It seemed like a good idea to depict it exactly as the name says, which instantly turned the image into the metaphor of one of the most unbelievable moments in football history. The South Africans call the Vuvuzelas “The Horn of Africa.” This love hate instrument is a very strong cultural symbol in their culture, some say that the sound reminds them of a trumpeting elephant. For Hey, colours are a way of communication and expression. We were inspired by the quirky shape and the bold colors of the hundreds of Vuvuzelas seen during the South Africa World Cup.